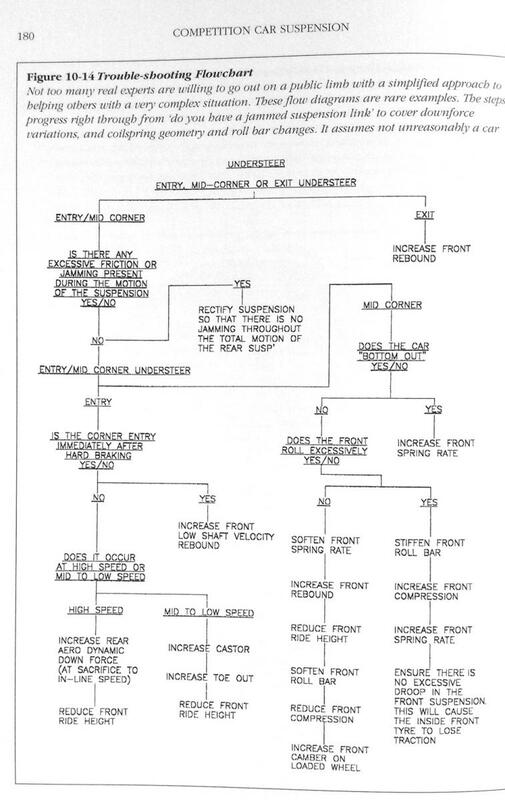 This procedure is based on the Penske damper tuning "Basic Start-up Procedure" found in their tech manual. 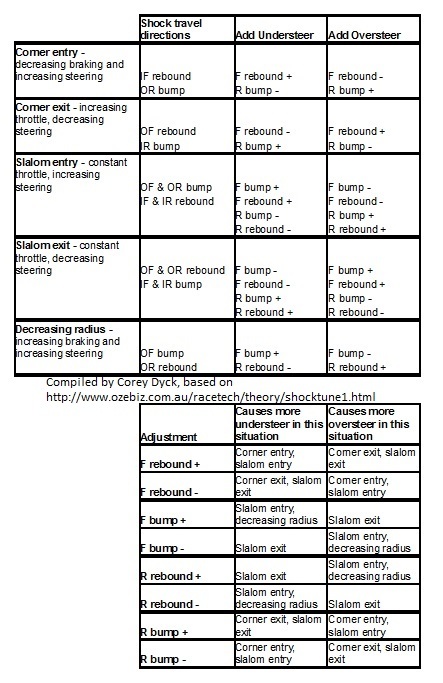 Starting with both compression and rebound set to full soft and working toward a baseline setting will teach you a lot about how your car feels when it needs damping adjustment so I believe it's a good idea to take the time to run through this full procedure even though the S2000 community has a pretty good handle on optimal settings of the KW V3. Although this guide is specific to the Honda S2000 KW V3 shock the basics will apply to any double adjustable (compression & rebound) shock. The KW V3 has separate adjusters for low speed compression and low speed rebound damping. 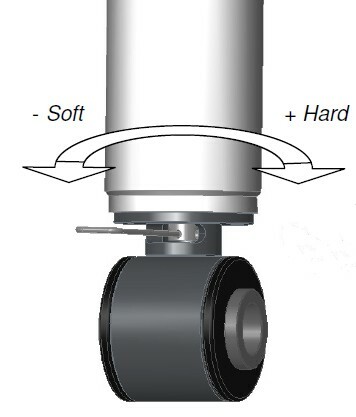 High speed damping is handled by two separate nonadjustable blow off valves. For more info on how the V3 shock works see: How the KW V3 Works. Compression, or bump setting, is on the bottom of shock. The old style adjusters use 1/4 turn "sweeps" using a KW provided pin tool. The adjuster is behind a plastic, pop-off cover. New style adjusters have a numbered wheel with clicks. Two clicks equal a 1/4 turn sweep. Warning from KW: Do not turn the adjuster by force when you reach the end of the adjustment range, this may damage the needle valve inside the system. 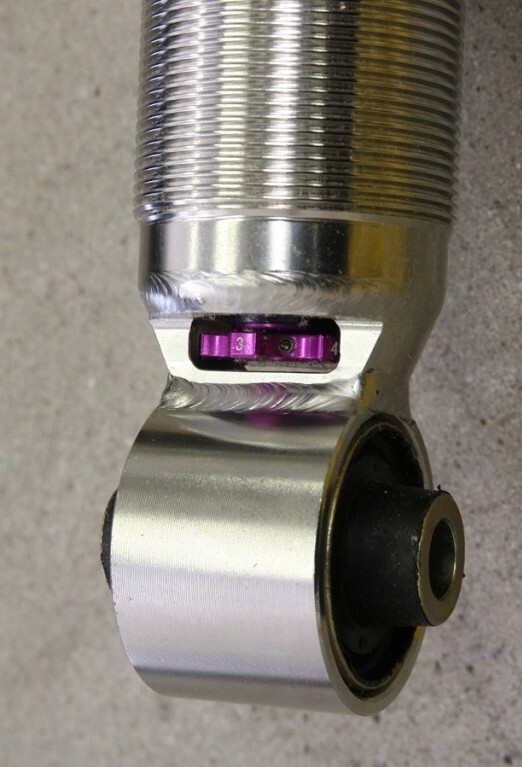 Turning the compression adjuster to the right increases spring preload on the low speed compression needle valve located at the bottom of the shock in the "Foot Valve." 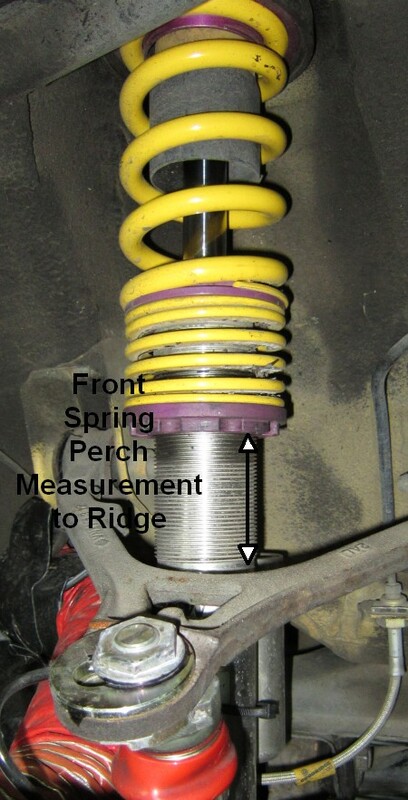 The added spring preload restricts oil flow and increases damping. 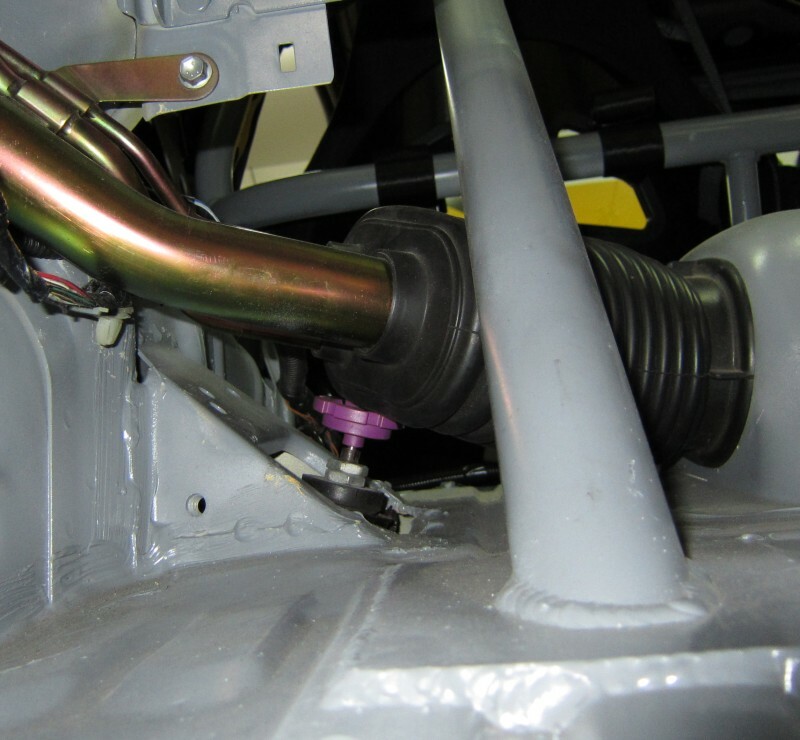 High speed compression damping is handled by a spring loaded blow off valve in the Foot Valve and is not adjustable. Adjust compression to suit bumps in critical areas such as corners, corner exit and braking zones. 1. 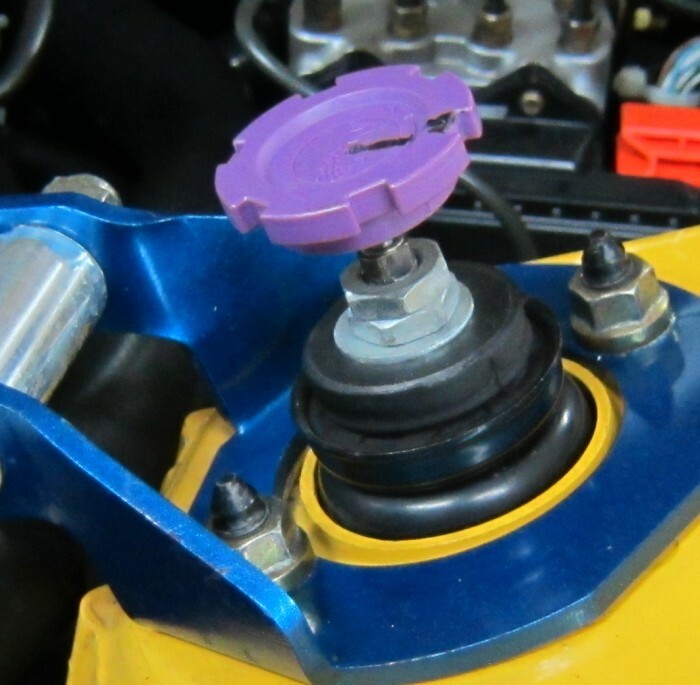 Start by setting the rebound adjuster to near full soft--turn the top shock adjuster out, counter-clockwise about 3 turns (18 clicks)--as if screwing the adjuster up, out of the shock--don't force the adjuster beyond its limit. KW warns not to drive the car with the shock settings at full hard or full soft so we want to go to full soft and then back off 1 click so you're at 17 clicks out. 2. Set the compression adjuster to near full soft--turn the bottom shock adjuster from right-to-left--as if screwing the adjuster down, out of the bottom of the shock about 2 turns (8 sweeps or 16 clicks) then back off 1/2 sweep so you're at 7 1/2 sweeps out. Drive a lap with compression set at full soft to definitely feel what too soft feels like. Use caution because the car will handle poorly. The car should bounce and oscillate pretty badly. 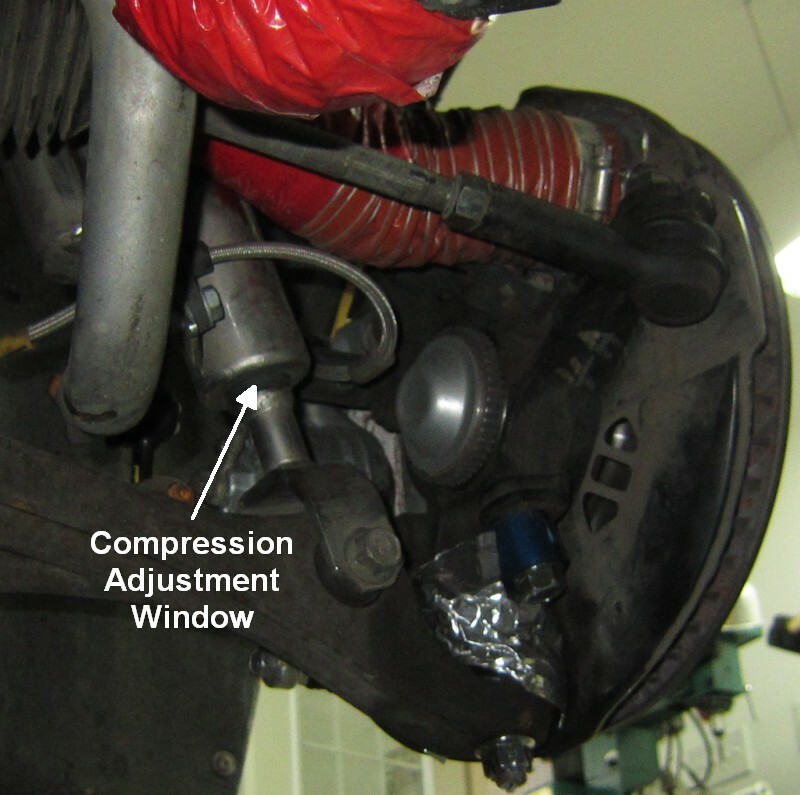 Come in and add compression (bottom of shock, move adjuster left-to-right, one sweep (or 2 clicks) at a time. Do not adjust rebound (top adjuster). Continue lapping and adding compression to minimize upsets until the car becomes harsh, loses tire compliance and traction. When this happens you have gone too far, back off 1 sweep (or 2 clicks). 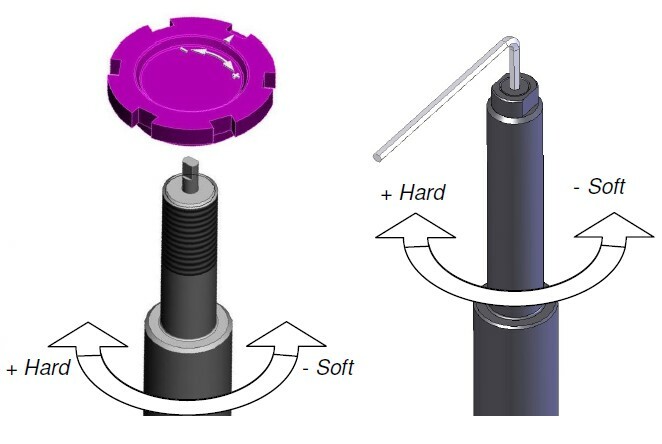 The rebound setting is on top of the shock, full soft is 3 turns out (counter-clockwise). Old style rebound adjusters do not have clicks but new style adjusters have 6 clicks per turn. Turning the adjuster clockwise moves the piston's low speed rebound needle valve inward restricting oil flow and increasing damping. 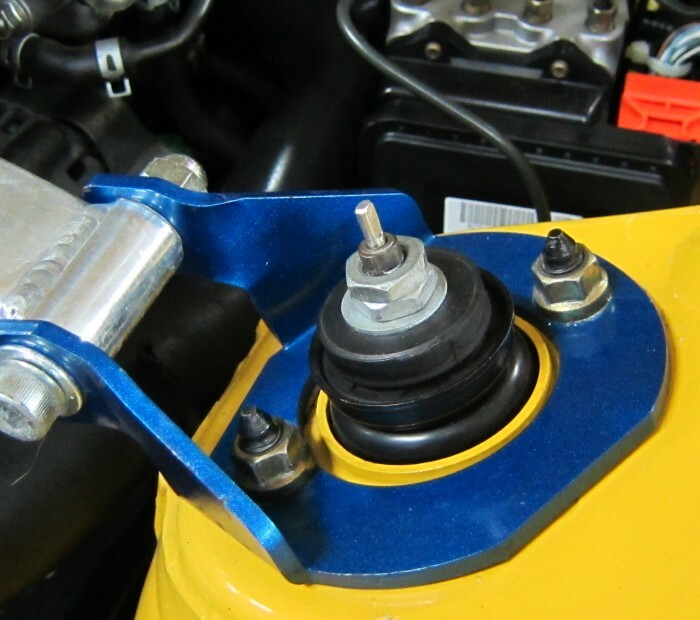 High speed rebound damping is handled by a spring loaded blow off valve on the piston and is not adjustable. Adjust rebound to tighten up the car, stabilize the platform and eliminate the floating "Cadillac feeling" (control pitch and roll caused by steering, throttle and braking inputs) This will also reduce the rate of body roll. 1. With the rebound set at 7 1/2 sweeps out (1/2 sweep or 1 click from full soft) drive a lap to definitely feel what too little rebound damping feels like. 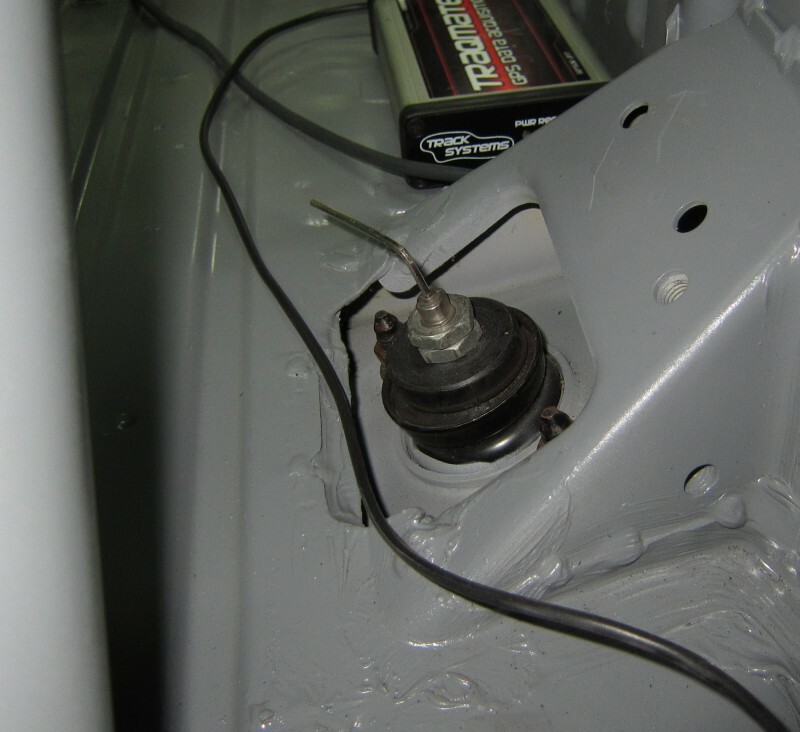 Add 1 full turn in of rebound for the first adjustment then add 1/4 turn (or 2 clicks to the top adjuster, clockwise) at a time until the car becomes "skittish" or the rear wheels hop under braking. When that happens you've gone too far so back off 1/6 turn (or 1 click, top adjuster counter-clockwise) at a time for fine tuning. The adjuster rubs against the fuel line seal. 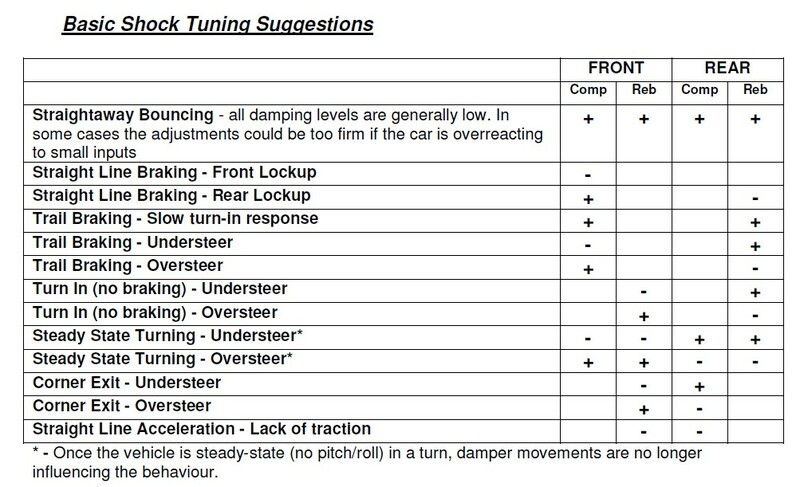 Here's the tuning guidance from Allen Staniforth's Competition Car Suspension. Once you get the settings right you might want to try this as a learning experience. Make sure you have your settings documented then set the compression to full soft and do a few laps to see what it feels like with the rebound set properly but compression too soft. Be cautious because the car will handle poorly. Then set compression back to the proper setting and set rebound to full soft and take the car out. This exercise may help you troubleshoot your damper settings in the future. I was able to get my KW V3 shocks revalved for stiffer springs by s2ki.com user TWF. He owns a motorcycle racing suspension shop. He can not get replacement parts from KW but he does have a source for different damping shims to alter the shock's compression and rebound properties. If your V3s need to be rebuilt and you want them revalved then send them to KW USA first for rebuild then send them to TWF to get them revalved. Alignment: Front -3.3º camber, 7.0º caster, 0 toe Rear -3.0º camber, 0.25 inch total toe-in. Springs: Front 800lbs/inch, Rear 700lbs/inch. All are aftermarket 2.5 x 6 inch. 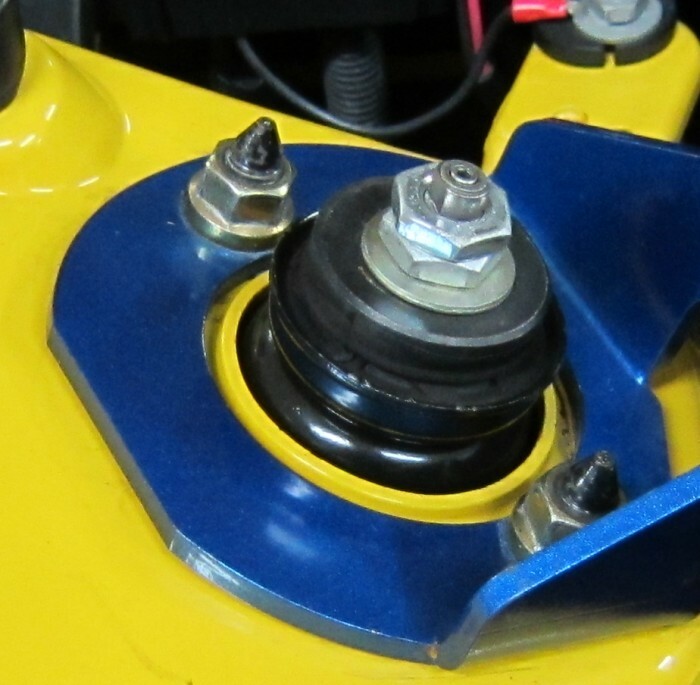 Front shocks measured from the ridge just below the threads to the leading edge of the adjuster ring: 2.5 inches. 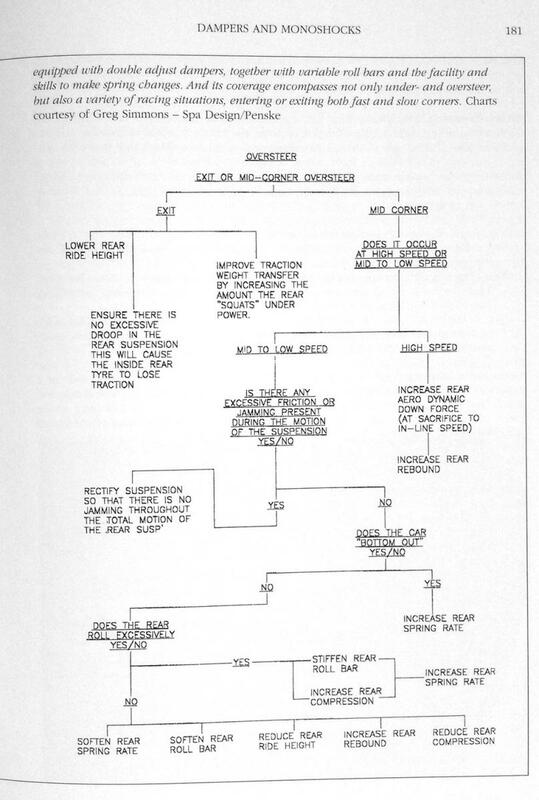 Rear shocks measured from the beginning of the threads to the leading edge of the adjuster ring: 1.57 inches.